At the Annual Conference on the First-Year Experience, I picked up some great classroom activities from Loriann Irving, of Kutztown University. Loriann has built a creative portfolio of interactive exercises for use in her first-year seminar course. She shared this activity for test or assignment review titled Fortunate Questions. Supplies needed include strips of paper (large enough for writing) and individual fortune cookies from the Asian foods aisle at your grocery or a specialty foods store. 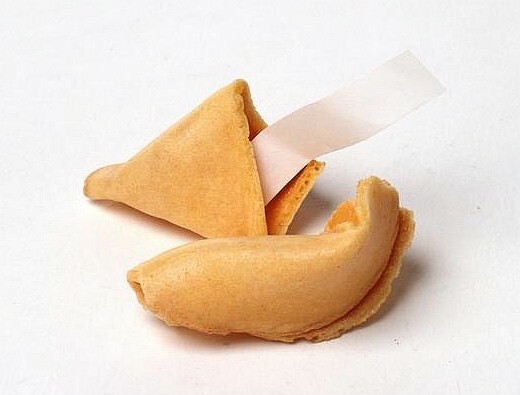 Provide each student with a fortune cookie and strip of paper. Highlighting a textbook chapter, article, or other project, ask students to review pages or portions of recent assignments that will be on the next exam or are important in the course. Request that they write questions on the strips of paper. Collect the fortune papers in a basket, mix them up, then have students draw one from the basket. In a go-round, ask students to read the question they have selected and respond for the class. This entry was posted in assignments, class activity, first-year seminar. Bookmark the permalink. ← What would we do if we really loved our students?